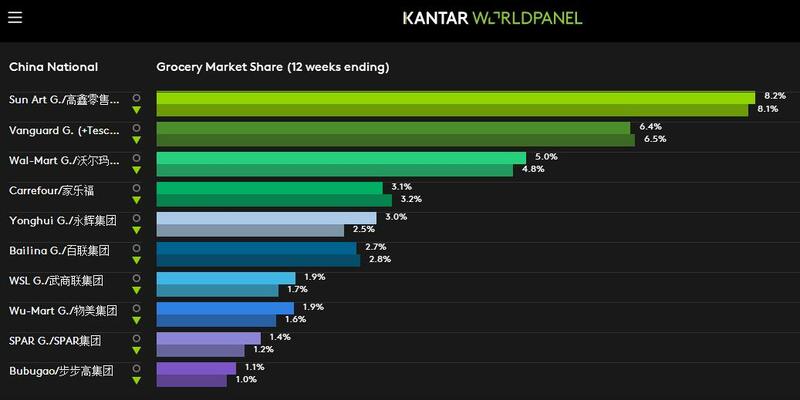 Walmart, one of the top 5 retailers in China, saw share growth in the latest 12 weeks ending 27th January 2017 compared to the same period last year, growing from 4.8% to 5.0. Throughout the past year, Walmart has endeavored to adapt to China’s fast changing environment. They have done this by shifting more resources to China’s hinterland and deploying an aggressive O2O strategy. Also Walmart opened more Sam’s Club stores which has helped to drive value growth as these store are offering more premium products targeted at high income families. CNY is a very important time of the year for offline retailers especially in the current climate where online shopping is stealing share from them. Before Chinese New Year, consumers will visit the store to prepare for the Spring Festival. Hypermarket is often the chosen channel for this kind of occasion and is where the whole family can gather together and shop for fun. During this time shoppers are much less likely to shop online as most couriers will be taking time off. Therefore offline retailers, both local and multi-national, will look to seize this opportunity by running deep promotions to expand the shopper’s basket while they are in store. Every January RT-Mart runs a big promotion scheme called “Low Price Storm” to capture this opportunity. This January the SunArt Group (driven by RT-Mart) hit 8.9% value share. Vanguard also made an effort to drive up its value share to 7.1%. One benefit from the pre-CNY grocery shopping is that the basket spend of shoppers increases. In the latest 12 weeks 3 retailers’ saw their basket value exceed 100RMB. 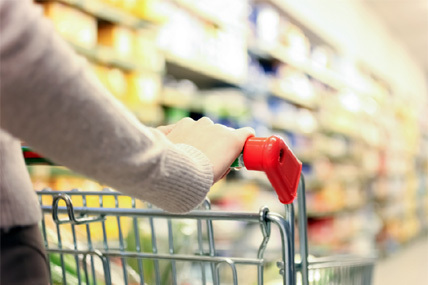 Walmart Group enjoyed the highest trip spending at 109RMB, followed by SunArt Group’s 104RMB and Carrefour’s 103RMB. Ecommerce’s growth remained at a high level with online penetration reaching a historical high at 37.8% in the latest 12weeks ending 27th January 2017. T-mall led the growth of ecommerce achieving a penetration of 9.8%, which is 3.9pt ahead of JD.